코폴리에스테르 에테르 조성물을 포함하는 제1 층과 제1 층에 대해 적어도 부분적으로 위에 놓이는 관계로 병치된 재귀반사성 구조를 포함하는 제2 층을 포함하는 재귀반사성 물품을 개시하고 있다. It discloses a recursive reflective article comprises a second layer comprising at least in part, the recursive reflecting structure juxtaposed in relation to overlying on the first layer and the first layer comprising a copolyester ether composition. 또한, 적어도 하나의 코폴리에스테르 에테르 조성물 층을 제공하는 단계와, 조성물 층에 대해 병치되고 적어도 부분적으로 위에 놓이는 관계로 재귀반사성 구조를 제공하는 단계를 포함하는 재귀반사성 물품 형성 방법을 또한 개시하고 있다. In addition, it also discloses a recursive reflective article formed comprises at least the steps of: providing a single copolyester ether composition layer and, being juxtaposed for the composition layer provides a recursive reflecting structure in relation to overlying, at least in part, . 본 발명은 재귀반사성 물품 및 그 제조 방법에 관한 것이다. The present invention relates to a recursive reflective article and a method of manufacturing the same. 보다 구체적으로, 본 발명은 코폴리에스테르 에테르 조성물 층을 포함하는 재귀반사성 물품 및 그 제조 방법에 관한 것이다. More particularly, the present invention relates to a recursive reflective article and a method of manufacturing the same comprising a copolyester ether composition layer. 재귀반사성 물품은 경사 입사광을 그 광원을 향하여 다시 방향전환시키는 능력을 갖는다. Recursive reflecting article has the ability to switch back to the inclined incident direction toward the light source. 이러한 독특한 능력에 의해 재귀반사성 물품이 다양한 기재 상에서 광범위하게 사용되게 되었다. Recursive reflecting With such a unique ability article were to be used extensively on various substrates. 예를 들어, 재귀반사성 물품은 도로 표지 및 바리케이드와 같은 평평한 비가요성 기재 상에, 물결 모양의 금속제 트럭 트레일러, 번호판 및 교통 방벽(traffic barrier)과 같은 고르지 않은 표면 상에, 그리고 도로 작업자 안전 조끼, 조깅하는 사람의 신발, 롤-업 표지(roll up sign) 및 캔버스가 측면에 있는 트럭(canvas-sided truck)과 같은 가요성 기재 상에 사용될 수 있다. For example, recursive reflective articles are road signs and barricades and flat on inflexible substrates, such as, wavy metal truck trailers, license plates and traffic barriers on uneven surfaces such as (traffic barrier), and the road worker safety vest, man jogging shoes, roll-up cover (roll up sign) and a canvas can be used for the flexible substrate, such as a truck (canvas-sided truck) on the side. 재귀반사성 물품은 또한 장식 목적 뿐만 아니라 다양한 다른 안전 목적을 위해 이용된다. Recursive reflective article is also available as well as decorative purposes for a variety of different security purposes. 재귀반사성 물품은 그에 입사하는 광을 입사 광원에 재귀반사함으로써 안전성을 향상시키는 저조명 상황(low-light conditions)에서 특히 유용하다. Recursive reflecting articles are particularly useful in low-light conditions (low-light conditions) to improve safety by retroreflecting light incident on the incident light thereto. 재귀반사성 물품은 전형적으로 의류에 사용되어 입사광을 재귀반사함으로써 개인의 시인성을 증가시킨다. Recursive reflective products are typically used in clothing to increase the visibility of the individual by retroreflecting the incident light. 의류에 사용된 재귀반사성 물품은 감열 접착제(heat sensitive adhesive)로 의류에 부착된 테이프의 스트립, 의류에 영구적으로 부착되거나 재봉된 패치, 및 의류 내에 재귀반사성 물품을 포함하는 의류의 물품을 포함한다. The recursive reflective article used in the clothing comprises an article of clothing including a recursive reflective article in the heat-sensitive adhesive (heat sensitive adhesive) in a permanently attached to the strip, clothing of a tape attached to the clothes or sewing the patch, and clothing. 재귀반사성 의류는 건설 노동자 및 도로를 이용하여 운동하는 사람에게 특히 유용한데, 이는 이들이 규칙적으로 이동 차량에 근접하게 되고 재귀반사성 물품이 이들을 저조명 상황 하에서 운전자에게 더 잘 보이게 하기 때문이다. Recursive reflective clothing to make it look better because the driver particularly useful for those who exercise by the construction workers and road, which is close to that which they regularly move goods vehicles recursive reflective them under low-light conditions. 재귀반사성 물품은 전형적으로 예를 들어 큐브-코너(cube-corner) 반사 요소를 포함하는 재귀반사성 구조에 광을 통과시키는 위에 놓인 시트(overlying sheet)로서 고도로 가소화된 폴리비닐 클로라이드(PVC) 필름을 이용한다. Recursive reflecting articles are typically, for example a cube-corner (cube-corner) of a sheet (overlying sheet) placed on the passing light to a recursive reflective structure comprises a reflective element highly plasticized polyvinyl chloride (PVC) film use. 그러나, 가소제는 PVC 필름으로부터 이동하는 경향이 있다. However, the plasticizers have a tendency to move from a PVC film. 따라서, 시간에 걸쳐 가소화된 PVC 필름은 (특히 차가운 날씨에서) 온도 안정성 및 가요성을 상실한다. Thus, the plasticized PVC film over time lose their temperature stability and flexibility (particularly in cold weather). 또한, 가소제는 PVC 필름의 가요성을 향상시키기 위해 사용된다. In addition, a plasticizer is used to improve the flexibility of the PVC film. 그러나, 가소제는 PVC 필름이 상대적으로 낮은 연화 온도(예를 들어, 82℃ (180℉))를 나타내게 한다. However, the PVC film plasticizer to exhibit a relatively low softening temperature (e.g., 82 ℃ (180 ℉)). 그러한 낮은 연화 온도는 가소화된 PVC 필름을 포함하는 재귀반사성 물품의 상업적 제조를 제약하고자 하는 경향이 있는데, 이는 PVC 필름이 제조 공정에 걸쳐 효율적인 웨브 운반을 위한 충분한 강성을 갖지 않기 때문이다. Such low softening point tends to restrict the commercial production of recursive reflecting article comprising a plasticized PVC film, because the PVC film does not have sufficient stiffness for efficient transport across the web manufacturing process. 예를 들어, 큐브-코너 반사 요소는 가소화된 PVC 필름에 주조 또는 결합될 때 전형적으로 PVC 필름의 연화 온도보다 높은 온도에서 경화된다. For example, the cube-corner reflecting elements are cured in a casting or when combined with the plasticized PVC film typically higher than the softening temperature of the PVC film temperature. 이러한 연화를 보충하기 위해, 큐브-코너 경화 온도에서 연화되지 않는 톱시트 및 분리가능한 배킹 시트와 같은 추가의 폴리에스테르 층이 가소화된 PVC 필름에 전형적으로 결합된다. To compensate for this softening, a cube - the additional layer of polyester, such as a topsheet and a detachable backing sheet that is not softened at the corners cure temperature is typically bonded to the plasticized PVC film. 이들 추가층은 효율적인 웨브 운반을 가능하게 하면서 총 제조 비용을 늘리고 궁극적으로는 폐기된다. These additional layers, enabling the efficient transport web to increase the total production cost is ultimately discarded. 더욱이, 연화에 의해 야기된 악영향을 극복하기 위해 주조된 큐브-코너의 경화에 이어 가소화된 PVC 필름을 어닐링(annealing)하는 것이 필요하게 된다. Moreover, the cube castings in order to overcome the adverse influence caused by the soft-to (annealing) the annealing following the hardening plasticized PVC film having a corner is required. 그러나, 어닐링은 총 제조 에너지 비용을 늘린다. However, annealing increases the total manufacturing cost of energy. 다이옥틸 프탈레이트(di octyl phthalate; DOP)와 같은 몇몇 가소제는 어린이들에게 건강상 위험하다고 보고된다. Dioctyl phthalate; some plasticizers such as (di octyl phthalate DOP) is reported to be health hazards for children. 가소화된 PVC 필름을 사용할 때 다른 장기적인 내구성 문제가 또한 야기된다. When using a plasticized PVC film is another long-term durability problems are also caused. 일 태양에서, 본 발명은 코폴리에스테르 에테르 조성물로 이루어진 제1 층과, 제1 층의 적어도 일부에 대해 병치되고 적어도 부분적으로 위에 놓인 재귀반사성 구조로 이루어진 제2 층을 포함하는 재귀반사성 물품을 포함한다. In one embodiment, the method is copolyester of the first layer made of a polyester ether composition, is juxtaposed against at least a portion of the first layer comprises a recursive reflecting article comprising a first layer made of the recursive reflective structure overlying at least in part, do. 다른 태양에서, 본 발명은 코폴리에스테르 에테르 조성물로 이루어진 제1 층과, 제1 층의 적어도 일부에 접합된 재귀반사성 구조로 이루어진 제2 층을 포함하는 재귀반사성 물품을 포함한다. In another embodiment, the present invention comprises a recursive reflecting article comprising a first layer made of the first layer, at least the recursive reflecting structure joined to a portion of the first layer made of a copolyester ether composition. 다른 태양에서, 본 발명은 사실상 코폴리에스테르 에테르 조성물을 포함하는 제1 층을 제공하는 단계와, 경화성 수지 조성물을 제1 층의 적어도 일부 상에 주조 및 경화시켜 경화된 수지 조성물이 재귀반사성 구조를 형성하는 단계를 포함하는 재귀반사성 물품 형성 방법을 포함한다. In another embodiment, the method is the fact, copolyester ether and a step of providing a first layer comprising the composition, an to the cast and hardened on at least a part of the cured resin composition of the curable resin composition of the first layer is a recursive reflective structure It comprises a recursive reflecting article forming comprises forming. 다른 태양에서, 본 발명은 코폴리에스테르 에테르 조성물 층을 포함하는 필름을 제공하는 단계와, 경화성 수지 조성물을 필름의 적어도 일부 상에 접촉 및 경화시켜 수지 조성물이 재귀반사성 구조를 형성하는 단계를 포함하는 재귀반사성 물품 형성 방법을 포함한다. In another embodiment, the method comprises the steps of at least contact and curing the resin composition in some phase of a curable resin composition film is formed in a recursive reflective structure to provide a film comprising a copolyester ether composition layer It comprises a recursive reflecting article forming method. 이러한 개요는 본 발명의 각각의 개시된 실시예 또는 모든 구현예를 설명하고자 하는 것은 아니다. This summary is not intended to describe each disclosed embodiment or every implementation of the present invention. 많은 다른 이점, 특징 및 관계는 설명이 진행됨에 따라 명백하게 될 것이다. Many other advantages, features, and relationships will become apparent according to the description proceeds. 이하의 도면 및 상세한 설명은 본 발명의 예시적인 실시 형태를 보다 구체적으로 예시한다. The drawings and the following detailed description of an exemplary embodiment of the present invention will be more specifically exemplified. 본 발명의 상기의 태양 및 다른 태양은 첨부 도면 및 본 명세서로부터 명백하게 될 것이다. The above and other aspects of the present invention will become apparent from the accompanying drawings and this specification. 그러나, 어떠한 경우에도, 상기의 태양은 출원 절차 중에 보정될 수 있는 첨부된 청구의 범위에 의해서만 제한되는 본 발명의 보호 대상에 대한 제한으로서 해석되어서는 안 된다. However, in any case, the above aspect is not to be construed as a limitation of the protection object of the invention is limited only by the scope of the appended claims that can be corrected during the application procedure. 도 1은 코폴리에스테르 에테르 조성물 톱시트 또는 최상부 층에 접합된 별개의 큐브-코너 반사 요소의 구조를 갖는 재귀반사성 물품의 개략적인 단면도. 1 is a copolyester ether composition top sheet or in separate cubes joined to the top layer, a schematic cross-sectional view of a reflective article having a recursive structure of corner reflecting elements. 도 2는 나머지 중합체에 접합된 재귀반사성 구조를 갖는 다른 중합체와 공압출된 코폴리에스테르 에테르 조성물 층을 갖는 다른 재귀반사성 물품의 개략적인 단면도. Figure 2 is a schematic cross-sectional view of another article having a reflectivity recursive other polymers and co-extruding a copolyester ether composition layer having a recursive-reflective structure joined to the rest of the polymer. 도 3은 중합체 층 및 코폴리에스테르 에테르 층이 함께 공압출된 다른 재귀반사성 물품의 개략적인 단면도로서, 재귀반사성 구조가 코폴리에스테르 에테르 조성물 층에 접합된 도면. Figure 3 is a polymer layer and a copolyester ether layer as a schematic cross-sectional view of the coextruded other recursive reflective article together, the recursive reflecting structure copolyester ether drawings joined to the composition layer. 도 4는 전문적인 용도의 고 시인성 안전복(warning clothing)에 대한 유럽 표준 EN471에 기재된 휘도 표준과 비교한 127 마이크로미터(5 밀) 및 203 마이크로 미터(8 밀)의 코폴리에스테르 에테르 조성물 톱시트 또는 최상부 층을 갖는 재귀반사성 물품의 휘도 그래프. 4 is a specialized high-visibility safety clothing (warning clothing) European standard of 127 microns (5 mil) and 203 microns (8 mils) compared to the luminance standards described in EN471 copolyester ether composition to the topsheet of use or the luminance graph of the recursive reflective article having a top layer. 도 5는 50회의 세척 및 10회의 건조 사이클 동안 재귀반사성 물품 상에 최상부 층으로서 사용된 152 마이크로미터 (6 밀)의 코폴리에스테르 에테르 필름 조성물을 갖는 재귀반사성 물품의 휘도 그래프. 5 is washed 50 times and 10 times dry recursive reflective article onto a 152 micrometer (6 mil), the luminance graph of the recursive reflective article having a copolyester ether film of the composition used as the top layer during the cycle. 도 6은 유럽 표준 EN471에 기재된 휘도 표준과 비교한 218℃ (425℉)에서 엠보싱된 재귀반사성 물품 상에 최상부 층을 사용하는 203 마이크로미터 (8 밀)의 코폴리에스테르 에테르 조성물을 갖는 재귀반사성 물품의 휘도 그래프. Figure 6 is a recursive reflective article having a copolyester ether composition of 203 microns (8 mils) using a top layer on the embossed recursive reflective article at 218 ℃ (425 ℉) compared to the luminance standards set forth in the European standard EN471 the brightness graph. 도 7은 본 발명에 따른 재귀반사성 물품을 제조하는 공정을 개략적으로 나타내는 도면. 7 is a diagram schematically showing a process for producing a recursive reflective article according to the present invention. 도 8은 코폴리에스테르 에테르 조성물 층에 접합된 미소구체형 구조를 갖는 재귀반사성 물품의 개략적인 단면도. 8 is a schematic cross-sectional view of a reflective article with a recursive microspheres body structure bonded to the copolyester ether composition layer. 도 9는 미소구체형 구조를 갖는 재귀반사성 물품의 다른 실시 형태의 개략적인 단면도. Figure 9 is a schematic cross-sectional view of another embodiment of a reflective article with a recursive microspheres body structure. 도 10은 미소구체형 구조를 갖는 재귀반사성 물품의 다른 실시 형태의 개략적인 단면도. 10 is a schematic cross-sectional view of another embodiment of a reflective article with a recursive microspheres body structure. 단수형 단어는 기재되는 요소들 중 하나 이상을 의미하기 위한 "적어도 하나"와 서로 바꾸어서 사용될 수 있다. Singular word can be used "at least one" and the interchangeably to mean one or more of the elements being described. 개시된 물품에서의 여러 요소의 위치에 대해 "최상부", "위에 놓인", "전방", "배킹" 등과 같은 배향 관련 단어를 사용함으 로써, 수평 방향으로 배치된 몸체부에 대한 요소의 상대 위치를 나타낸다. A "top", "front", "backing" the relative position of the element for as hameu using the orientation-related words, in the body portion arranged in the horizontal direction, such as "overlying" for the location of various elements in the disclosed articles It represents. 개시된 물품이 제조 중에 또는 그 후에 공간 내에서 임의의 특정 배향을 가져야만 한다는 것을 의도하지는 않는다. It is not intended that the disclosed article is that it should have any particular orientation in the after or during the manufacturing space. 단어 "광"은 전자기 스펙트럼에서 가시광선(visible radiation)을 말한다. The word "light" refers to visible light (visible radiation) in the electromagnetic spectrum. 광 경로에서 2개 이상의 요소와 관련하여 사용될 때, 문구 "광학적 결합"(optical association)은 상기 경로를 따라 전송된 광의 주요 부분이 요소들을 통과하는 것을 말한다. When used with respect to two or more elements in the optical path, the phrase "optically coupled" (optical association) refers to the main part of the light transmitted along the path passes through the elements. "재귀반사성" 물품은 경사 입사광을 입사 방향에 평행한 또는 거의 평행한 방향으로 반사하여, 광원에 또는 그 근처의 관찰자 또는 검출기가 반사광을 볼 수 있거나 검출할 수 있다. "Recursive reflecting" item, it is possible to detect the inclined incident light is reflected in a substantially parallel or parallel to the incident direction, or an observer or detector at or near that of the light source can see the reflected light. "투명" 재귀반사성 요소는 법선축을 따라 측정했을 때 약 400 ㎚와 약 700 ㎚ 사이의 관심 파장 영역에서 적어도 100 ㎚ 밴드 폭에서 적어도 약 5％(바람직하게 적어도 약 10％, 20％ 또는 50％)의 일방향 투과율을 갖는다. "Transparent" recursive reflective elements, as measured along an axis normal to about 400 ㎚ and about 700 ㎚ at least about 5%, at least 100 ㎚ bandwidth in interest wavelength region between (and preferably at least about 10%, 20% or 50%) of having a one-way transmission. 재귀반사성 물품의 2개의 공지된 유형은 마이크로프리즘형 또는 큐브-코너형 및 미소구체형이다. Two known types of reflexive reflective article is a micro prismatic or cube-corner type and a microsphere shape. 재귀반사성 물품에 대하여 사용될 때 단어 "마이크로프리즘형"은 전형적으로 큐브-코너 요소의 어레이를 말한다. When used with respect to the recursive reflective article with the word "micro-prismatic" is typically cube-corner element refers to the array. 큐브-코너 반사 요소는 하나의 코너에서 만나는 3개의 대략 서로 수직한 측면 표면을 갖는 대체로 3면체 구조, 즉 큐브-코너를 포함하여 입사광을 재귀반사한다. Cube-corner reflecting element is a substantially three-sided with three mutually substantially perpendicular side surfaces meet in a corner structure, that is, cube-retro-reflecting the incident light and including a corner. 큐브-코너 재귀반사성 시트류는 사실상 평면상의 전방 면 및 복수의 기하학적 구조를 포함하는 구조화된 후방 면을 갖는 얇은 투명 층을 전형적으로 포함하고, 복수의 기하학적 구조의 일부 또는 전부는 큐브-코너 반사 요소로서 이루어진 3개의 반사면을 포함한다. Cube-corner recursive reflecting sheets is in effect a front side, and typically include a thin transparent layer having a structured rear surface comprising a plurality of geometric structures, some or all of the plurality of geometric structures on the plane of the cube-corner reflective elements It includes three reflecting surface made of a. 재귀반사성 물품에 대해 사용될 때 용어 "미소구체형"은 전형적으로 적어도 부분적으로 결합제 층 내에 매립되고 관련 경면 반사 또는 확산 반사 물질(예를 들어, 안료 입자, 금속 플레이크(metal flake) 또는 증기 코트(vapor coat))을 갖는 다수의 미소구체 또는 "비드"를 가져 입사광을 재귀반사하는 시트를 전형적으로 말한다. When used for the recursive reflecting article the term "microspheres body" is typically at least partially embedded and associated specular reflection or diffuse reflection materials (for metal flake (g., Pigment particles, metal flakes) in the binder layer or vapor coat (vapor coat)) a plurality of microspheres or "beads" refers to bring the sheet in a typical recursive reflecting incident light having a. 비드형 재귀반사기의 대칭적인 기하학적 형상으로 인해, 미소구체형 시트류는 배향에 관계없이, 즉 시트류의 표면에 수직한 축 둘레에서 회전될 때 동일한 전체 광 반사(light return)를 나타낸다. Due to the symmetrical geometry of the bead-shaped recursive reflector, microspheres body sheets represents a, that is, when the rotation in one axis perpendicular to the surface of the sheets and the same total light reflection (return light) regardless of orientation. 따라서, 그러한 미소구체형 시트류는 시트류가 표면 상에 배치되는 배향에 대해 상대적으로 낮은 감도를 갖는다. Therefore, such a minute sphere body sheets have a relatively low sensitivity to the orientation that sheets are placed on the surface. 그러나, 그러한 시트류는 일반적으로 큐브-코너 시트류보다 낮은 재귀반사 효율을 갖는다. However, such sheets are generally cube-corner has a lower retroreflective efficiency than the sheets. 단어 '중합체"는 단일중합체 및 공중합체뿐만 아니라 예를 들어 공압출 또는 예컨대 에스테르교환반응(transesterification)을 비롯한 반응에 의해 혼화되기 쉬운 블렌드로 형성될 수 있는 단일중합체 또는 공중합체를 포함한다. 용어 "공중합체"는 랜덤 중합체와 블록 중합체 둘 모두를 포함한다. 용어 "코폴리에스테르 에테르 조성물"은 코폴리에스테르 에테르 물질들의 혼성물과, 코폴리에스테르 에테르 물질과 기타 중합체의 블렌드를 포함한다. The word "polymer" shall include a homopolymer or copolymer which may be formed of a single polymer and, as well as copolymers, for example, tend to be compatible by the reaction, including the co-extrusion, or for example, transesterification reaction (transesterification) blend. The term " copolymer "includes both random polymers and block polymers. the term" copolyether ester and ether compositions "includes hybrid and of copolyester ether material, copolyester ether materials and blends of other polymers. 도 1은 본 발명의 원리에 따라 제조된 일반적으로 도면 부호 10으로 지시되는 재귀반사성 물품의 일 실시 형태를 예시한다. 1 illustrates an embodiment of a recursive reflective articles to be indicated by the general reference numeral 10, made in accordance with the principles of the invention. 이 실시 형태에서, 재귀반사성 물품(10)은 층 또는 재귀반사성 구조(12)를 포함한다. In this embodiment, the recursive reflecting article 10 includes a layer or a recursive reflecting structure (12). 재귀반사성 구조(12)는 전형적으로 사실상 평면의 뷰잉면(14) 및 재귀반사면(16)을 포함한다. Recursive reflecting structure 12 typically includes a substantially planar viewing surface 14 and a recursive reflecting surface 16 of the. 사실상 평면의 뷰잉면(14)은 본 실시 형태에서 전형적으로 코폴리에스테르 에테르 조성물 층(20)의 사실상 평면의 표면에 접합된다. Substantially planar surface of the viewing layer 14 is bonded to the surface of the substantially planar typically copolyester ether composition layer 20 in this embodiment. 재귀반사성 구조(12)는 이하에 기술되는 바와 같이 경화에 의해 전형적으로 코폴리에스테르 에테르 조성물 층(20)에 접합된 복수의 별개의 또는 독립된 큐브-코너 반사 요소(18)를 포함한다. And a corner reflective elements 18 - recursive reflective structure 12 is typically a copolyester ether composition layer distinct or separate cubes of the bonded plurality to 20 by curing as will be described below. 용어 '별개의'는 큐브-코너 반사 요소에 대해 사용될 때 각각의 요소가 인접 큐브-코너 반사 요소와 분리되거나 또는 독립된 것을 말한다. The term 'distinct' is a cube-corner when it is used for the reflective element adjacent each element cubes - refers to remove or separate the corner reflecting elements. 별개의 큐브-코너 반사 요소를 사용하는 것은 각각의 큐브-코너 반사 요소가 서로로부터 독립적으로 작용하기 때문에 재귀반사성 물품(10)의 유연성을 증가시킨다. Discrete cube-corner reflective element The use of each of the cubes - thereby increasing the flexibility of the recursive reflecting article 10 since the corner reflective elements to act independently from each other. 재귀반사성 구조(12)는 또한 단일 유닛으로서 작용하는 큐브-코너 반사 요소의 얇은 일체형 재귀반사 시트류로서 제공될 수 있다는 것을 이해할 것이다. Recursive reflecting structure 12 also cube acting as a single unit - it will be appreciated that the one-piece can be provided as a thin sheet of retroreflective corner reflective elements flow. 큐브-코너 반사 요소(18)는 본 명세서에 참고로 포함되는 미국 특허 제5,691,846호(벤슨(Benson))에 기술된 것과 같이 필름 상으로 직접 주조함으로써 준비될 수 있다. Cube-corner reflecting elements 18 may be prepared by casting directly onto a film, as described in reference US Patent No. 5,691,846 (Benson (Benson)) contained in the present specification. 방사선 경화되는 큐브-코너 반사 요소에 사용되는 전형적인 중합체는 가교결합된 아크릴레이트, 예를 들어 다작용성 아크릴레이트 또는 에폭시 및 아크릴레이트화 우레탄 - 1작용성 및 다작용성 단량체와 블렌딩됨 - 을 포함하지만 이로 한정되지는 않는다. Cubes which radiation curing - Typical polymers used in the corner reflecting elements are cross-linked acrylate, for example, multi-functional acrylates or epoxies and acrylated urethane-search monofunctional and polyfunctional monomers and blending - including but which but it is not limited. 큐브-코너 반사 요소용의 다른 전형적인 중합체는 폴리(카르보네이트), 폴리(메틸메타크릴레이트), 폴리(에틸렌테레프탈레이트), 지방족 폴리우레탄, 폴리(비닐 클로라이드) 뿐만 아니라 에틸렌 공중합체 및 그 이오노머를 포함하지만 이로 한정되지는 않는다. Cubes - Other typical polymer for corner reflecting elements include poly (carbonate), poly (methyl methacrylate), poly (ethylene terephthalate), aliphatic polyurethanes, poly (vinyl chloride), as well as ethylene copolymers and the ionomers to include, but are not limited to. 큐브-코너 시트류가 재귀반사성 물품에 이용되는 경우에, 화학적 및/또는 자외선 열화에 저항하기 위한 목적으로 보호층이 존재할 수 있다. Cube-corner sheets may have a protective layer may be present for the purpose of resistance in the case used for the recursive reflective article, chemical and / or ultraviolet light deterioration. 큐브-코너형 재귀 반사 시트류의 예시적인 예가 미국 특허 제5,138,488호 (쯔제크(Szczech)), 제5,387,458호(파벨카(Pavelka)), 제5,450,235호 (스미스(Smith)), 제5,605,761호 (번스(Burns)), 제5,614,286호(베이컨(Bacon)) 및 제5,691,846호(벤슨 주니어(Benson, Jr.))에 개시되고, 이들 모두는 본 명세서에 참고로 포함된다. Cube-illustrative example of a corner type retroreflective sheets and U.S. Patent No. 5,138,488 No. (Etsu Zeke (Szczech)), the 5,387,458 No. (Pavel car (Pavelka)), the 5,450,235 No. (Smith (Smith)), the 5,605,761 No. ( It is disclosed in Burns (Burns)), the No. 5,614,286 (bacon (bacon)) and a No. 5,691,846 (Benson, Jr. (Benson, Jr.)), all of which are incorporated herein by reference in its entirety. 시트류가 수분에 노출될 것 같은 실시 형태에서, 큐브-코너 재귀반사 요소는 바람직하게는 밀봉 필름(도시되지 않음)으로 캡슐화된다. In an embodiment, such sheets will be exposed to moisture, the cube-corner retroreflective elements are preferably encapsulated with a sealing film (not shown). 밀봉 필름의 통상적인 부착 형태는 RF 용접, 초음파 용접, 열접합 또는 밀봉 뿐만 아니라 다른 공지된 적합한 방법을 포함하지만 이로 한정되지는 않는다. Conventional mounting in the form of a sealing film, as well as RF welding, ultrasonic welding, thermal bonding or sealing comprising a suitable method other known, but are not limited to. 사용시, 재귀반사성 구조(12)는 그것의 전방 뷰잉면(즉, 뷰잉면(14))이 대체로 의도되는 관찰자 및 입사광의 광원의 예상된 위치를 향하게 배치되도록 배열된다. In use, the recursive reflecting structure 12 is arranged to face its front viewing (i.e., the viewing surface 14) is generally disposed toward the expected location of the observer and the incident light of the light source is intended. 전방 뷰잉면(14)에 입사하는 광은 시트로 들어가고 시트의 몸체를 통과하여 반사 요소의 각각의 3개의 면에 의해 반사되어, 입사광의 광원을 사실상 향하는 방향으로 전방 면을 빠져나간다. Light incident on the front viewing surface (14) enters the sheet and passes through the body of the sheet is reflected by the three surfaces of the respective reflecting elements, and exits the front surface to incident light of the light source in a substantially facing direction. 내부 전반사의 경우, 공기 계면(도시되지 않음)은 먼지, 물 및 접착제가 없는 상태로 유지되어야 하고, 따라서 밀봉 필름에 의해 둘러싸인다. In the case of total internal reflection, the air interface (not shown) is to be maintained in the absence of dirt, water and adhesive and therefore is surrounded by a sealing film. 광선은 전형적으로 내부 전반사로 인해 또는 측면의 배면측 상의 반사 코팅에 의해 측면에서 반사된다. Rays are typically reflected at the side by the reflection coating on the back side due to the total internal reflection or by side. 코폴리에스테르 에테르 조성물 층(20)은 임의의 적합한 광 투과성 코폴리에스테르-에테르 탄성중합체로 제조될 수 있다. Copolyester ether composition layer 20 is any suitable light transmitting co-polyester can be prepared with ether elastomer. 전형적인 예는 사이클로헥산 다이메탄올, 테트라메틸렌 글리콜 및 테레프탈산을 포함한다. Typical examples include dimethyl cyclohexane methanol, tetramethylene glycol, and terephthalic acid. 다른 적합한 코폴리에스테르 에테르 조성물이 구매가능하다는 것을 이해할 것이다. It will be appreciated that other suitable copolyester ether composition is available. 향상된 재귀반사성 물품을 획득하기 위해 사용된 더 전형적인 탄성중합체는 미국 테네시주 킹스포트 소재 의 이스트만 케미칼 컴퍼니(Eastman Chemical Company)에 의해 "네오스타(등록상표) FN006"(NEOSTAR® FN006)"로 제조된다. 기본적으로, FN006 탄성중합체 물질은 폴리(1,4 부탄 다이올)로도 알려진 폴리(테트라메틸렌옥사이드)를 기재로 하는 코폴리에스테르 에테르 혼합물인 것으로 보인다. 폴리(1,4 부탄 다이올)은 공중합체 내에서 개별 분자로서 또는 아주 긴 연속체(run)로서 존재한다. 시스 및 트랜스 1,4-사이클로헥산 다이메탄올 및 1,4 부탄 다이올과 트랜스 1,4 사이클로헥산 다이카르복실산의 공중합체가 또한 확인되었다. 소량의 방향족 화합물 및/또는 다른 화합물이 존재할 수 있다. In order to obtain an improved recursive reflective items with more typical elastomer used is manufactured by Eastman Chemical Company of Kingsport, Tennessee, USA Material (Eastman Chemical Company) as a "neo-Star (TM) FN006" (NEOSTAR® FN006) " basically, FN006 elastomeric material is a poly (1,4 butane diol), also known as poly (tetramethylene oxide) it appears to be a copolyester ether mixture to a base material. poly (1,4 butane diol), an aerial exists as a separate molecule in the polymer, or a very long continuum (run). cis and trans 1,4-dimethyl cyclohexane methanol, and 1,4-butane diol, and trans-1,4 cyclohexane di-carboxylic acid is a copolymer of It has also been identified. a small amount of an aromatic compound and / or other compounds may be present. 하기의 표 1은 FN006 네오스타(등록상표)의 조성을 표에 기록한다. Table 1 below is written to the composition of the FN006 neo-Star (TM) table. 본 발명은 코폴리에스테르 에테르 조성물의 다른 유사한 그리고 적합한 버전(version)이 본 발명의 원리를 실행하는 것과 양립되게 사용될 수 있다는 것을 고려하고 있다. The present invention contemplates that it can be used both as running other similar and appropriate version (version) the principles of the present invention the copolyester ether composition. 예를 들어, 그 조성물에 대한 전형적인 변형(variation)은 그것의 분자량(MW)의 약 ± 10％의 범위에서 행해진 대체물(change)을 포함한다. For example, typical variations (variation) for that composition comprises a replacement is performed (change) in the range of about ± 10% of its molecular weight (MW). 다른 적합한 변형이 고려된다. Other suitable modifications are contemplated. 코폴리에스테르 에테르 조성물 층(20)은 사실상 가소제를 함유하지 않고, 통과하는 광 에 대해 투명하다. Copolyester ether composition layer 20 is transparent to light that does not virtually contain a plasticizer, a pass. 본 명세서에서 사용되는 바와 같이, 용어 "사실상 가소제가 없는"은 가소제를 전혀 갖지 않는 것으로부터 유래하는 이점을 손상시킬 양을 함유하지 않는다는 것을 의미한다. As used herein, it means that the term "virtually no plasticizer" is not to contain the amount to compromise the benefits derived from those that do not have at all a plasticizer. 따라서, 코폴리에스테르 에테르 조성물 필름은 가소화된 PVC의 경우에서와 같이 가소제 이동에 의해 발생되는 문제에 영향을 받지 않는다. Therefore, copolyester ether composition film is not affected by the problems caused by the plasticizer moving as in the case of plasticized PVC. 그러한 문제는 가요성의 손실, 열 안정성 및 조기 마모를 포함하지만 이로 한정되지는 않는다. Such problems include the loss of a flexible, heat stability, and premature wear, but are not limited to. 더욱이, 코폴리에스테르 에테르 조성물 층은 204℃ (400℉) 초과의 연화 온도를 갖는다. Furthermore, copolyester ether composition layer has a softening temperature greater than 204 ℃ (400 ℉). 따라서, 재귀반사성 물품의 주조 및 경화 동안 그것의 웨브의 운반을 용이하게 하기 위해 추가층을 더할 필요가 없다. Therefore, it is not necessary to add an additional layer during casting and curing of the recursion reflective products to facilitate the transport of its web. 재귀반사성 물품(10)의 최상부 층 또는 코폴리에스테르 에테르 조성물 층(20)은 또한 코폴리에스테르 에테르 성분과 적어도 선택된 양의 다른 중합체 성분, 예를 들어 코폴리에스테르를 갖는 블렌딩된 필름을 포함할 수 있다. Top layer or copolyester ether composition layer 20 of the recursive reflecting article 10 can also comprise a blend film with a copolyester other polymer components in an amount at least selected and ether components, such as co-polyester have. 특정 적용예를 위해 코폴리에스테르 에테르 조성물의 특성을 향상시키거나 변경시키기 위해 추가의 중합체가 첨가될 수 있다. For the particular application of an additional polymer may be added to improve or to change the characteristics of the copolyester ether composition. 추가의 적합한 중합체(들)가 코폴리에스테르 에테르 수지에 수지로서 추가되고 시트로 공압출될 수 있다. There are more suitable polymer (s) may be added and co-extruded into a sheet as the resin in the co-polyester ether resin. 하나의 블렌딩된 실시 형태에서, 코폴리에스테르 수지의 제1 성분은 코폴리에스테르 에테르 조성물 층의 특성에 악영향을 미치지 않고서 최상부 층(20)의 강도를 향상시키기 위해 총 중량의 최대 약 25 중량％만큼 코폴리에스테르 에테르 수지에 첨가될 수 있다. In a blended embodiments, a co-polyester resin of the first component is a copolyester by up to about 25% by weight of the total weight in order to increase the strength of the top layer 20 without adversely affecting the properties of the ester ether composition layer It may be added to the copolyester ether resin. 대안적으로, 2개의 다른 블렌딩된 조성물에서, 코폴리에스테르 수지가 총 중량의 약 5 중량％ 내지 총 중량의 약 95 중량％ 범위가 되도록 첨가될 수 있다. Alternatively, the two other in the blended composition, the copolyester resin may be added so as to have about 5% to about 95% by weight of the total weight weight of the total weight. 반대로, 후자의 블렌드에서, 코폴리에스테르 에테르 수지의 비는 총 중량의 약 95 중량％ 내지 총 중량의 약 5 중량％의 상보적인 백분율을 가질 수 있다. On the other hand, in the latter case, the blend ratio of copolyester ether resin may have a complementary percentage of a total of about 5% by weight to approximately 95% by weight to the total weight of the weight. 다른 블렌드 및 블렌드 비가 고려된다. It is contemplated other blend ratio and blend. 본 발명의 이점은 코폴리에스테르 에테르 조성물 층이 약 -73℃ (-100℉) 내지 약 204℃ (400℉)의 넓은 온도 범위에 걸쳐 온도 안정성을 나타내는 것을 특징으로 한다는 것이다. The advantages of the present invention is that characterized by showing a temperature stability over a wide temperature range of copolyester ether composition layer is from about -73 ℃ (-100 ℉) to about 204 ℃ (400 ℉). 코폴리에스테르 에테르 조성물 층의 용융점은 204℃ (400℉)보다 높고, 코폴리에스테르 에테르 조성물 필름은 온도가 -73℃ (-100℉)보다 낮게 되어야 취성을 나타내게 된다. The melting point of the copolyether ester ether composition layer is higher than 204 ℃ (400 ℉), copolyester ether composition film exhibit a brittle temperature should be lower than -73 ℃ (-100 ℉). 따라서, 코폴리에스테르 에테르 조성물 층은 극한 온도로 인한 현저한 성능 열화 없이도 광범위한 온도 조건, 특히 야외 용도로 유용하다. Therefore, copolyester ether composition layer is useful in a wide range of temperatures without a significant performance degradation caused by temperature extremes, particularly outdoor applications. 더욱이, 높은 연화 온도 때문에, 코폴리에스테르 에테르 조성물 층들은 가열 다리미(heating iron)와 같은 가열 장치에 의해 열화 없이 직접 맞닿을 수 있다. Furthermore, it is possible to reach directly fit without deterioration by heating devices, such as due to the high softening temperature, copolyester ether composition layer are heated iron (heating iron). 코폴리에스테르 에테르 조성물 층을 갖는 재귀반사성 물품은 특히 가소화된 PVC 필름을 이용하는 물품에 대해 용도가 다양하다. Copoly recursive reflective article having a polyester ether composition layer can vary, especially for the purpose of using the plasticized PVC film article. 또한, 코폴리에스테르 에테르 조성물 층에서는 사실상 가소제 이동이 없다. In addition, the co-polyester ether composition layer is not in fact moving plasticizer. 코폴리에스테르 에테르 조성물 최상부 층(20)은 전형적으로 두께가 최대 약 254 마이크로미터 (10 밀)이다. Copolyester ether composition of the top layer 20 is typically a maximum of about 254 microns (10 mils) thick. 더 전형적으로, 코폴리에스테르 에테르 조성물 최상부 층(20)은 두께가 약 5 마이크로미터 (0.2 밀) 내지 203 마이크로미터 (8 밀)일 수 있다. May be more typically, copolyester ether composition of the uppermost layer 20 of about 5 microns (0.2 mils) to 203 microns (8 mils) thickness. 코폴리에스테르 에테르 조성물 또는 필름 최상부 층(20)이 열적으로 안정하고, 환경적으로 안정하며, 광학적으로 투명하며, 내오염성(stain resistant)이 있으며, 압형(tooling) 또는 주형(mold)으로부터 용이하게 분리되며, 별개의 큐브-코너 반사 요소와 같은 반사 코팅을 용이하게 수용하기 때문에, 코폴리에스테르 에테르 조성물 필름은 재귀반사성 물품(10)의 코폴리에스테르 에테르 조성물 최상부 층(20)으로서 또는 다른 층으로서 유용하다. Copolyester ether composition or film the top layer 20 is thermally stable and stable environmentally and, and optically transparent, and the antifouling property (stain resistant), to facilitate from the pressure type (tooling), or mold (mold) separation and, distinct cube-corner because it easily receives a reflective coating such as a reflective element, copolyester ether composition film is a copolyester ether composition of the uppermost layer 20 of the recursive reflecting article 10 or as a separate layer useful. 코폴리에스테르 에테르 조성물 필름 층(20)의 고유의 물리적 및 열적 특성 때문에, 큐브-코너의 경화 동안 코폴리에스테르 에테르 조성물 필름 상의 톱시트(top sheet) 및 배킹 시트(backing sheet)와 같은 추가 시트가 불필요하다. Because unique physical and thermal characteristics of the copolyester ether composition film layer 20, the cube-added sheets, such as a top sheet (top sheet) and the backing sheet (backing sheet) on the copolyester ether composition film during hardening of the corner it is not necessary. 또한, 이것은 재귀반사성 물품(10)을 상업적으로 생산하기 위해 필요로 하는 층 또는 캐리어 필름의 수를 감소시키고, 이럼으로써 상당한 비용 절감(savings)으로 이어진다. Again, this reduces the number of layers or the carrier film that needed to commercially produced recursive reflective article (10), and leads to significant cost savings by takin (savings). 도 1에 예시된 바와 같은 재귀반사성 물품을 제조하는 처리 시스템(700)의 하나의 전형적인 실시 형태를 예시하는 도 7을 참조한다. And Fig. 7, which also illustrates one exemplary embodiment of a processing system 700 for producing a recursive reflective article as illustrated in FIG. 이 점에 있어서, 재귀반사성 물품을 제조하는 여러 가지의 적합한 장치 및 시스템이 존재한다는 것을 이해할 것이다. In this regard, it should be understood that various suitable devices and systems exists of making the recursive reflective items. 예를 들어, 재귀반사성 물품을 제조하기 위해 필름 상에 큐브-코너 반사 요소를 주조 및 경화시키는 공정을 기술하는 미국 특허 제5,691, 846호를 다시 참조한다. For example, a cube on the film to produce a recursive reflective article - see The United States Patent No. 5,691, 846 describing a call back to the step of casting and curing the corner reflecting elements. 본 발명의 재귀반사성 물품을 제조하기 위해 사용된 처리 시스템(700)에서, 코폴리에스테르 에테르 조성물 층(721) 상에 큐브-코너 반사 요소(719)를 주조 및 경화시키기 위해 유동가능한 경화성 수지 조성물(710)이 사용된다. In the processing system 700 used to make a recursive reflective article of the present invention, copolyester ether composition layer 721 onto a cube-corner reflective elements (719) for casting and a flowable curable resin composition to cure ( 710) is used. 코폴리에스테르 에테르 조성물 층(721)은 패턴화된 툴(726)을 위한 구동 기구(도시되지 않음)에 의해서와 같이 풀림 롤(722)로부터 소정 경로를 따라 끌어 당겨지거나 전진된다. Copolyester ether composition layer 721 is advanced or pulled along a predetermined path from the feed roll 722, such as by a drive mechanism (not shown) for the patterning tool 726. 조성물 층(721)은 가요성의 연장가능한 시트일 수 있다. Composition layer 721 may be a possible flexible extension sheet. 경화성 수지 조성물(710)은 조성물 층(721)이 전진함에 따라 코팅 다이(725)에 의해 도포된 후에 조성물 층(721)을 코팅한다. The curable resin composition 710 is coated with the composition layer (721) after the coating by the coating die (725) as the composition layer (721) is advanced. 경화성 수지 조성물(710)을 포함할 수 있는 전형적인 중합체는 폴리(카르보네이트), 폴리(메틸메타크릴레이트), 폴리(에틸렌테레프탈레이트), 지방족 폴리우레탄, 폴리(비일 클로라이드) 뿐만 아니라 에틸렌 공중합체 및 그 이오노머를 포함하지만 이로 한정되지는 않는다. Typical polymers which may include a curable resin composition 710 is a poly (carbonate), poly (methyl methacrylate), poly (ethylene terephthalate), aliphatic polyurethanes, poly (extraordinary chloride), as well as ethylene copolymers and including the ionomer, but are not limited to. 더 전형적인 경화성 수지 조성물(710)은 예를 들어 미국 조지아주 스미르나 소재의 사이텍 서피스 스페셜티즈(Cytec Surface Specialties)로부터 구매가능한, 에폭시 아크릴레이트, 우레탄 아크릴레이트 및 아크릴레이트 단량체 - 1작용성, 2작용성 및 다작용성을 가짐 - 와 같은 UV 경화성 수지이다. The typical curable resin composition 710, for example, Georgia, USA Smyrna material of Cytec Surface Special Tees (Cytec Surface Specialties), commercially available, epoxy acrylate, urethane acrylate, and acrylate monomers from 1-functional, bifunctional and it has a polyfunctional - a UV-curable resin, such as. 도포된 경화성 수지 조성물(710)은 패턴화된 툴(726)에 운반되고, 그 곳에서 수지 조성물(710)이 닙 롤(723)(예를 들어, 고무 코팅된 롤러)과 패턴화된 툴(726)의 도움으로 패턴화된 툴(726) 상의 복수의 미세공동(727) 내로 들어간다. The applied curable resin composition 710 is a patterned tool is carried on the 726, the resin composition 710. The nip roll 723 (e.g., a rubber-coated roller) and the patterns in the place Chemistry tool ( 726) enters into the plurality of micro-cavity (727) on the patterned tools 726 with the help of. 조성물 층(721)은 미세공동(727) 내의 수지 조성물(710)과 접촉한다. Composition layer 721 is in contact with the resin composition 710 in the micro-cavity (727). UV 램프와 같은 UV 방사원(729)의 쌍이 경화성 조성물(710)을 조사하도록 예시된 바와 같이 전진하는 조성물 층(721)에 대해 이격된 관계로 배치된다. Pairs of the UV radiation source 729, such as a UV lamp is disposed in spaced relationship for the composition layer (721) to move, as illustrated to irradiation of the curable composition (710). 경화성 수지 조성물(710)은 조성물 층(721)과의 접촉 동안 경화되거나 부분적으로 경화되어 큐브-코너 반사 요소(719)의 접합 어레이를 형성한다. The curable resin composition 710 is cured while in contact with the composition layer 721, or partially cure the cube-corners to form a joint array of reflective elements (719). 조성물 층(721)은 UV 방사원(729)으로부터의 화학선 UV 방사선의 방사원에 대해 투명하다. Composition layer 721 is transparent to the radiation source of actinic UV radiation from the UV radiation source (729). 이러한 점에서 사용되는 바와 같이, 용어 '투명한'은 조성물 층(721)이 방사선의 유효 부분이 그 층을 통과하게 할 수 있게 하여야 한다는 것을 의미한다. As used in this sense, the term "transparent" means that the composition must allow layer 721 can be a significant part of the radiation is to pass through the layer. 이 실시 형태에서, 방사원(729)은 경화를 실행하기 위해 원하는 UV 방사선 파장으로 경화성 수지 조성물을 조사한다. In this embodiment, the radiation source 729 irradiates the curable resin composition with UV radiation wavelengths desired to execute the hardening. 닙 롤러(728)는 패턴화된 툴(726)로부터의 경화된 또는 부분적으로 경화된 큐브-코너 반사 요소(719)를 깨거나(fracture) 박리시키고, 이럼으로써 반사 요소들은 패턴화된 툴(726)의 구동 기구(도시되지 않음)에 의해 권취 롤(731)에 전진됨에 따라 조성물 층(721)에 접합되어 이와 함께 운반된다. A nip roller 728 is a patterned tool the cured or partially cured cube from 726 - a broken corner reflecting elements (719) or (fracture) was peeled off, the reflection factors are pattern by takin screen tool (726 ) drive mechanism (not shown) is bonded to the composition layer 721 as the advance on the take-up roll 731 by the carried with it. 큐브-코너 반사 요소(719)는 개별 요소로 분리될 수 있다. Cube-corner reflecting elements 719 may be separated into individual components. 또한, 방사원(729)의 쌍과 유사한 제2 UV 방사원(730)이 경화를 완료하기 위해 사용된다. In addition, the first 2 UV radiation source 730 similar to the pair of radiation sources (729) are used to complete the cure. 대안적으로, 미국 특허 제5,691,846호는 독립적인 경화된 반사 요소가 아닌 큐브-코너 시트류를 형성하는 공정을 기술 및 교시한다. Alternatively, U.S. Patent No. 5,691,846 discloses a non-independent cured cube reflecting elements - describes and teaches a process for forming the corner sheet flow. 예를 들어, 경화성 수지 조성물(710)은 미세공동(727)에 직접 도포될 수 있다. For example, the curable resin composition 710 can be directly applied to the micro-cavity (727). 큐브-코너 반사 요소는 트인 공기 노출형, 캡슐화된 종류 또는 금속화된 종류일 수 있다. Cube-corner reflecting elements may be in the open air-exposed, the encapsulated type or the metallized type. 처리 시스템(700)의 이점은 높은 연화 온도(예를 들어, 204℃ (400℉))보다 높음)를 갖는 조성물 층(721)으로부터 유래되고, 이럼으로써 예를 들어 가소화된 PVC 필름을 갖는 재귀반사성 물품으로 전형적으로 행해지는 것과 같이 재귀반사성 물품의 제조 공정을 통해 조성물 층을 보조하기 위해 추가층을 가질 필요가 없다. The advantage of processing system 700 is a recursive having a high softening temperature of the (e.g., 204 ℃ (400 ℉)) being derived from the composition layer 721 has a higher than), for example by takin plasticized PVC film as is typically done in a reflective article it does not need to have an additional layer to assist in the composition layer through the production step of the recursive reflecting article. 추가적으로, 조성물 층(721)의 어닐링은 필요하지 않는데, 그 이유는 그 연화 온도에 도달하거나 초과하지 않기 때문이다. In addition, it does not require the annealing of the composition layer 721, since it does not reach or exceed its softening temperature. 따라서, 처리 시스템(700)은 가소화된 PVC 필름을 갖는 재귀반사성 물품의 공지된 제조에 비교하여 경제성 및 간단함이 개선되었다는 것을 특징으로 한다. Accordingly, the processing system 700 is characterized in that the improvements are also economical and simple in comparison with the known manufacturing a recursive reflective article having a plasticized PVC film. 도 2를 참조하면, 적어도 다른 하나의 병치되고 그리고 적어도 부분적으로 위에 놓인 중간 층(104)과 공압출되는 코폴리에스테르 에테르 조성물 층(102)을 포함하는 다른 하나의 재귀반사성 물품(100)이 예시된다. 2, the at least one other juxtaposed and of and, at least in part, the middle layer and one of the recursive reflecting article 100 comprising a copolyester ether composition layer 102 is extrusion 104 and 02 illustrated overlying do. 중간 중합체성 층(104)은 전형적으로 중합체 층, 더 구체적으로는 폴리우레탄 또는 코폴리에스테르 물질로 제조된다. The intermediate polymeric layer 104 is typically made of a polymeric layer, more specifically, a polyurethane or copolyester material. 전형적으로 큐브-코너의 어레이인 재귀반사성 구조(106)는 중합체성 중간 층(104)에 접합된다. Typically, cube-recursive array of reflective structure 106 of the corner is joined to a polymeric intermediate layer (104). 중합체성 중간 층(104)은 광을 통과시켜 조성물 층(102)과 재귀반사성 구조(106) 사이에 광학적 결합을 가능하게 한다. Polymeric intermediate layer 104 allows the optical coupling between the light passed through the composition layer 102 and the recursive reflecting structure 106. The 중합체성 중간 층(104)은 방사선 경화 또는 다른 전형적인 방식을 통해 조성물 층(102)에 접합될 수 있다. Polymeric intermediate layer 104 may be bonded to the composition layer (102) through a radiation curing or other typical manner. 중합체성 중간 층(104)은 재귀반사성 물품을 제조하는 데 전형적으로 사용되는 여러 가지 적합한 물질 중 임의의 것으로 제조될 수 있다. Polymeric intermediate layer 104 can be prepared by any of the variety of suitable materials that are typically used for producing a recursive reflective article. 예를 들어, 중합체성 중간 층(104) 및 그러한 다른 층은 재귀반사성 광학적 특성을 향상시키고/시키거나 재귀반사성 물품에 다른 기능을 제공하기 위해 추가 재료(들)로 이루어질 수 있다. For instance, other polymeric layer intermediate layer 104 and that may be made of more material (s) to improve the recursive reflecting optical properties and / or to provide a different function to the recursive reflective article. 반사성 금속 층(108)이 재귀반사성 구조(106)에 부착되고, 폴리우레탄, 아크릴, 고무 또는 다른 고온-용융 접착제와 같은 선택적인 감온 또는 감압 접착제 층(110)이 반사성 금속 층(108)에 부착될 수 있다. Attached to the hot-melt adhesive and an optional thermosensitive or pressure-sensitive adhesive layer 110. The reflective metal layer 108, such-reflective metal layer 108, the recursive reflecting structure 106 is attached to, polyurethane, acrylic, rubber, or other high temperature It can be. 코폴리에스테르 에테르 조성물 층(102)의 온도 안정성 때문에, 충분한 열을 공급하기 위해 열원이 상기 층 위에 배치되어, 적용된 재귀반사성 물품을 손상시키거나 다른 방법으로 악영향을 미치지 않고서 직물과 같은 적합한 기재(도시되지 않음) 상의 접착제 층(110)을 연화시킬 수 있다. Nose due to the temperature stability of the polyester ether composition layer 102, the heat source is placed on the floor in order to provide enough heat to damage the recursive reflecting article applied or without adversely affecting the other way suitable substrate, such as fabric (shown an adhesive layer 110 on the not) can be softened. 도 3을 참조하면, 재귀반사성 물품(200)의 다른 예가 예시된다. Referring to Figure 3, another example of a recursive reflective article 200 is illustrated. 재귀반사성 물품(200)은 다른 중합체성 층(204)과 공압출된 코폴리에스테르 에테르 조성물 층(202)을 포함할 수 있다. Recursive reflecting article 200 may include other polymeric layer 204 and the co-extruded co-polyester ether composition layer (202). 재귀반사성 구조(206)는 아크릴레이트와 같은 경화성 및 유동가능한 수지 조성물을 공지된 방법으로 전형적인 패턴화된 툴에 도포함으로써 코폴리에스테르 에테르 조성물 층(202)에 접합되거나 경화된다. Recursive reflecting structure 206 by applying a typical patterned tool by known methods and the flowable curable resin composition such as acrylate copolyester ether is joined or cured to a composition layer 202. 수지는 코폴리에스테르 에테르 조성물 층(202)에 경화되어 재귀반사성 구조를 형성하는 큐브-코너 반사 요소의 어레이를 형성한다. Resins copolyester ether cube is hardened in the composition layer 202 form a recursive reflective structure forms an array of corner reflecting elements. 재귀반사성 물품(200)의 내부가 열 저항을 필요로 하지만 외면은 이를 필요로 하지 않는 상항에서 재귀반사성 물품(200)이 유용하다. Require the interior of the recursion reflective items (200) outer surface heat resistance, but is useful for recursive reflective items (200) in situations that do not require it. 2개 내지 5개의 층을 갖는 재귀반사성 물품이 예시되었지만, 6개 이상의 층을 갖는 재귀반사성 물품이 또한 본 발명의 범주 내에 있다. 2 to 5 but illustrates the recursive reflective article having a single layer, the recursive reflecting article having six or more layers are within the scope of the invention. 이하의 실시예는 예시적인 것이며 어떠한 방식으로도 본 발명을 제한하고자 하는 것은 아니다. The following embodiments are illustrative and are not intended to limit the invention in any way FIG. 127 마이크로미터 (5 밀)의 코폴리에스테르 에테르 조성물 층 또는 필름과 약 90 중량％ 코폴리에스테르 에테르를 갖는 성분 및 약 10 중량％ 코폴리에스테르를 갖는 성분을 포함하는 조성물을 갖는 152 마이크로미터 (6 밀)의 블렌딩된 필름의 고유한 기계적 특성을 시험하였다. 127 microns (5 mils) of a copolyester ether composition layer, or 152 microns with the film and the component 90 having the weight percent copolyester ether and a composition containing a component having about 10% by weight of co-polyester (6 It was tested in the unique mechanical properties of the blend films of the mill). 둘 모두는 미국 테네시주 킹스포트 소재의 이스트만 케미칼 컴퍼니에 의해 제조되었고, 코폴리에스테르 에테르 조성물은 FN006 네오스타(등록상표)라는 명칭으로 판매된다. Both were manufactured by Eastman Chemical Company of Kingsport, Tennessee, USA material, copolyester ether composition is sold under the name Neo called FN006 star (registered trademark). 이들 둘 모두를 미국 워싱턴주 에버렛 소재의 아킬레스 유에스에이 인크. (Achilles USA, Inc.)에 의해 제조된 184 마이크로미터 (7.25 밀)의 가소화된 PVC 필름과 미국 미시간주 어번 힐스 소재의 헌츠만 엘엘씨(Huntzman LLC)에 의해 제조된 102 마이크로미터 (4 밀) 및 254 마이크로미터 (10 밀)의 폴리우레탄 필름과 비교하였다. These two Achilles yueseueyi Inc. of Everett, Washington, USA for all materials. (Achilles USA, Inc.) in a 184 micrometers (7.25 mils), only plasticized PVC film and the Huntsman, Michigan Auburn Hills material produced by the El elssi It was compared with the polyurethane film of 102 micrometers (4 mil) and 254 microns (10 mils) prepared by (Huntzman LLC). '입수 그대로의' 필름의 각각을 254 마이크로미터 (10 밀)의 폴리우레탄을 제외하고는 2.54 ㎝ (1 인치) × 10.16 ㎝ (4 인치)의 직사각형 섹션으로 절단하였고, 이때 254 마이크로미터(10 밀)의 폴리우레탄은 1.5 ㎝ (0.6 인치) 내지 1.9 ㎝ (0.75 인치)의 폭 × 10 ㎝ (4 인치) 길이로 절단하였다. Each "of retrieving as" film was cut into rectangular sections of and is 2.54 ㎝ (1 in.) × 10.16 ㎝ (4 in.) Except for the 254 polyurethane microns (10 mils), this time to 254 microns (10 mils ) polyurethane was cut to 1.5 ㎝ (0.6 inch) to 1.9 ㎝ ((width × 10 ㎝ 0.75 in.) 4 inches) length. 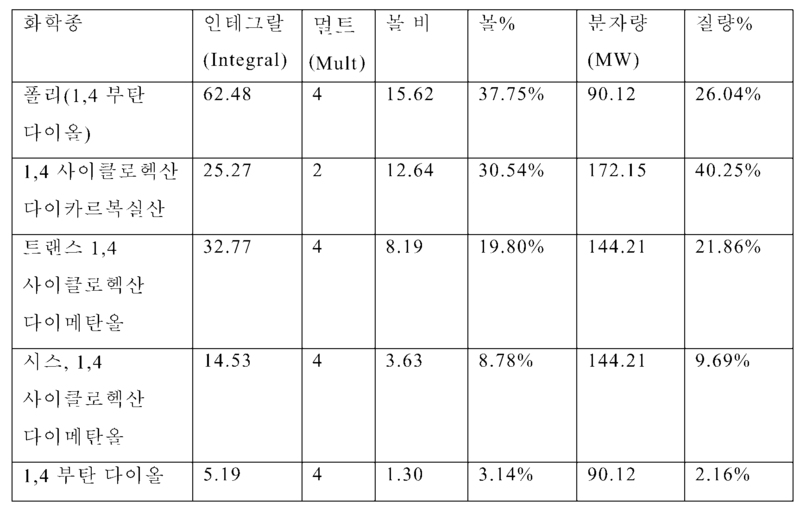 기본적인 기계적 특성을 결정하기 위해 "얇은 플라스틱 시트류의 인장 특성의 표준 시험 방법"(Standard Test Method of Tensile Properties of Thin Plastic Sheeting)에 대해 ASTM D882에 의해 규정된 절차를 이용하여 각 샘플을 시험하였다. To determine the basic mechanical properties were tested for each sample using the procedure defined by ASTM D882 for the "Standard Test Method for Tensile Properties of Thin Plastic Sheets" (Standard Test Method of Tensile Properties of Thin Plastic Sheeting). 하중-변위 획득 및 응력-변형 변환을 결정하기 위해 미국 미네소타주 미니애폴리스 소재의 엠티에스 시스템즈 코포레이션(MTS Systems Corporation)에 의해 제조된 얼라이언스 100 단축 시험기(Alliance 100 uniaxial tester)를 미국 미네소타주 미니애폴리스 소재의 엠티에스 시스템즈 코포레이션에 의해 제조된 테스트웍스 V DAQ 시험기(Testworks V DAQ tester)와 함께 사용하였다. Load-displacement pickup and stress-empty American Minneapolis material to determine the deformation transform S. Systems Corporation of Minnesota in Minneapolis material empty (MTS Systems Corporation) The Alliance 100 speed tester (Alliance 100 uniaxial tester) made by was used together with the test Works V DAQ tester (Testworks V DAQ tester) produced by S. Systems Corporation. 모든 시험은 주위 환경 조건에서 실시하였다. All tests were conducted at ambient conditions. 하기의 시험 결과를 아래와 같이 표 2에 요약하였다. As a result of exams to below are summarized in Table 2. 이들 시험의 결과는, 시험한 5개의 샘플을 파괴하는 에너지에 있어서 통계적으로 유의한 차이가 없다는 것을 나타낸다. The results of these tests indicates that in the energy to destroy the tested five samples no statistically significant difference. 통계 분석은 PVC 샘플의 4개의 모든 통계적으로 상이한 특성과 중복하는 단 하나의 비-PVC 샘플도 없다는 것을 보여준다. Statistical analysis shows that not only one non-sample -PVC diagram overlap with different properties with all four statistical sample of PVC. 그러나, 코폴리에스테르 에테르 필름 조성물(127 마이크로미터 (5 밀)) 및 코폴리에스테르 에테르/코폴리에스테르 블렌드(152 마이크로미터 (6 밀)) 필름의 영 계수 값이 PVC 및 폴리우레탄 샘플의 영 계수보다 높았다. However, copolyester ether film composition (127 micrometers (5 mils)) and a copolyester ether / copolyester blend (152 microns (6 mils)) of Young's modulus value of the film PVC and polyurethane sample Young's modulus higher than that. 15 마이크로미터의 진동하는 피크-피크 변형 진폭 및 1 헤르츠의 변형 속도(주파수)를 이용하여 분당 약 2.36℃ (4.24℉)로 -80℃ (-112℉) 내지 100℃ (212 ℉) 범위에서, 필름 인장력에 관하여 TAI Q800 시리즈 동적 기계 분석기(DMA)를 사용하여 5개의 필름 각각으로부터의 샘플을 시험하였다. In the peak strain amplitude and strain rate 1 Hz (frequency) per minute from about 2.36 ℃ (4.24 ℉) to -80 ℃ (-112 ℉) to 100 ℃ (212 ℉) range by using the - 15 microns peak vibration of using TAI Q800 series dynamic Mechanical analyzer (DMA) was tested in samples from five film, respectively with respect to the film tension. DMA 결과를 아래의 표 3에 요약한다. DMA results are summarized in Table 3 below. 이들 시험의 결과는, 2개의 네오스타(등록상표) 샘플이 184 마이크로미터 (7.25 밀)의 가소화된 PVC 필름에 가장 필적할만한 기계적 특성을 갖고 가소화된 PVC 필름의 저장 탄성률을 초과하는 저장 탄성률 값을 갖는 것을 나타낸다. The results of these tests, two neo-Star (R) stored for the sample having the mechanical properties worth the most comparable to plasticized PVC film of 184 microns (7.25 mils) greater than the storage modulus of the plasticized PVC film modulus It indicates that it has a value. 시험은 코폴리에스테르 에테르 필름과 코폴리에스테르 에테르/코폴리에스테르 필름 블렌드가 가소화된 폴리(비닐 클로라이드) 필름에 대한 적합한 대체물일 수 있다는 것을 나타낸다. The test indicates that there be a suitable replacement for the co-polyester ether films and copolyester ether / copolyester blend film is a plasticized poly (vinyl chloride) film. 둘 모두가 미국 테네시주 킹스포트 소재의 이스트만 케미칼 컴퍼니에 의해 상표명 네오스타(등록상표)로 제조된 127 마이크로미터 (5 밀) 필름 및 203 마이크로미터 (8 밀)의 코폴리에스테르 에테르 조성물 필름을 178 마이크로미터 (7.0 밀) 주요 간격 조정 니켈 툴링(primary spacing nickel tooling)을 이용하는 주조 및 경화 복제에 의해 미국 조지아주 스미르나 소재의 사이텍 서피스 스페셜티즈에 의해 제조된 C2001 아크릴레이트 수지로 처리하였다. Both the Tennessee Kings 178 a copolyester ether composition film of the port by the Eastman Chemical Company of material is manufactured under the trade name Neo-star (registered trademark) 127 microns (5 mil) film and a 203 micrometer (8 mil) was treated with a micrometer (7.0 mil) of nickel tooling key spacing (primary spacing tooling nickel) the C2001 acrylate resin produced by the casting and curing replication by Cytec surface Special Tees in Smyrna, Georgia, United States of America using a material. 니켈 패턴화 툴링 상의 필름에 아크릴레이트 수지를 경화 및 부착시키기 위해 최대 전력 설정치의 약 60％ 설정치로 미국 매릴랜드주 게이더스버그 소재의 퓨전 유브이 시스템즈 인크. (Fusion UV Systems, Inc.)에 의해 제조된 UV D-램프를 사용하였다. Nickel patterning an acrylate resin to a film on the tooling to about 60% of the set point setting and the maximum power setting to attach US ripples Gaithersburg yubeuyi Fusion Systems, Inc. of material. Manufactured by (Fusion UV Systems, Inc.) the UV D- lamps were used. 시험 동안 필름을 분당 약 6 미터 (20 피트)의 선속도로 이동시켰다. The film was moved at a linear speed of about 6 m (20 feet) per minute during the test. 큐브-코너 재귀반사성 구조를 스코어링(scoring)하고 미국 미네소타주 세인트 폴 소재의 쓰리엠 인크. (3M, Inc.)에 의해 제조된 898 필라멘트 테이프를 이용하는 테이프 스냅 접착 시험(tape snap adhesion test)을 이용하여 코폴리에스테르 에테르 조성물 필름에 대한 아크릴레이트 수지의 접합력을 시험하였다. Using a recursive corner reflective structure for scoring (scoring) and snap tape adhesion using a 898 filament tape made by (3M, Inc.) 3M Inc. of St. Paul, Minnesota, USA test (tape snap adhesion test) - cubes. copolyester was tested for adhesion of the acrylate resin of the ester ether composition film. 코폴리에스테르 에테르 조성물 필름에 대한 아크릴레이트 수지의 접합력이 접착 시험을 통과하였고, 이어서 휘도, 세척 접착 및 온도 성능에 대하여 재귀반사성 물품을 시험하였다. Copolyester ether composition was film adhesion of the acrylate resin passes the adhesion test for and tested a recursive reflective article with respect to the luminance was then washed adhesion and thermal performance. "전문적인 용도의 고 시인성 안전복 - 시험 방법 및 요건"에 대한 유럽 표준 EN 471을 이용하여 휘도를 시험하였다. European Standard EN 471 for "high-visibility safety clothing for professional use test methods and requirements" were tested using the brightness. 시험의 결과가 도 4에 제공되며, 도 4는 코폴리에스테르 에테르/아크릴레이트 재귀반사성 조성물의 휘도가 전문적인 용도의 고 시인성 안전복에 대한 유럽 표준 EN 471에 의해 요구되는 표준값과 동일하거나 이를 초과한다는 것을 나타낸다. And the results of the test provided in Figure 4, Figure 4 is the same as the standard value copolyester as required by the European Standard EN 471 for the ester ether / acrylate luminance of recursive reflecting composition for high visibility safety clothing for professional use or exceeded, It indicates that. 약 60℃에서 코폴리에스테르 에테르/아크릴레이트 재귀반사성 물품을 반복적으로 세척하고 약 50℃에서 재귀반사성 구조를 건조시킴으로써 코폴리에스테르 에테르/아크릴레이트 재귀반사성 물품의 내구성을 시험하였다. By washing the copolyester ether / acrylate recursive reflective article at about 60 ℃ repeatedly and dried recursion reflective structure at about 50 ℃ were tested for durability of the copolyester ether / acrylate recursive reflective article. 도 5에 예시된 바와 같이 결과는, 50회의 세척 사이클과 10회의 건조 사이클 (연속적인 5회의 세척 사이클마다 1회의 건조 사이클) 후에 코폴리에스테르 에테르/아크릴레이트 재귀반사성 조성물이 약간의 열화를 겪지만 여전히 물품의 최초 휘도의 약 25％를 유지하는 것을 나타낸다. Results As illustrated in Figure 5, of 50 wash cycles and 10 times the drying cycle copolyester ether / acrylate recursive reflective composition after (continuous five washed one time of the drying cycle per cycle) only undergoing a slight deterioration It indicates that still maintain about 25% of the initial luminance of the article. 50회의 세척 및 건조 사이클 후에, 코폴리에스테르 에테르 조성물 필름으로부터의 큐브-코너 반사 요소의 손실은 없었다. After 50 times washing and drying cycle, the cubes from the copolyester ether composition film - there was no loss of corner reflecting elements. 양 시험은 코폴리에스테르 에테르 조성물 필름이 반복 세척 및 마모 노출을 필요로 하는 의류 또는 다른 적용예에 유용한 재귀반사성 물품으로 적합한 시트라는 것을 나타낸다. Both tests shows that copolyester ether composition of the film is suitable for repeated washing and recursive reflecting sheet to the articles useful in clothing or other applications that require the wear exposure. 이론에 구애되는 것은 아니지만, 별개의 큐브-코너 반사 요소들 사이의 접촉 때문에 휘도가 세척으로 인해 감소되는 것으로 믿어진다. It is bound by theory, a separate cubes - is believed due to contact between the corner reflecting elements to be the brightness is decreased due to washing. 시각적 검사는 별개의 큐브-코너가 원래대로이고 코폴리에스테르 에테르 조성물 필름에 부착되어 있다는 것을 나타냈다. Visual inspection is independent of the cube-corner is shown that is attached to a copolyester ether composition film as they are. 203 마이크로미터 (8 밀)의 코폴리에스테르 에테르/아크릴레이트 재귀반사성 물품의 고온 안정성 특성을 미국 캔자스주 피츠버그 소재의 힉스 코포레이션(Hix Corporation)에 의해 제조된 N-80 고온 프레스를 이용하여 가소화된 PVC와 비교하여 시험하였다. 203 The copolyester using ether / acrylate recursive reflective article high temperature stability, the N-80 hot press manufactured by the US Kansas Hicks Corporation (Hix Corporation) in Pittsburgh, the characteristics of a micrometer (8 mil) plasticized It was tested in comparison with PVC. 고온 프레스를 사용하여 약 50초 동안 약 218℃ (425℉) 및 약 138 ㎪ (20 psig)로 각각의 필름으로 섬광 패턴(sparkle pattern)을 열적으로 엠보싱하였다. A flash pattern (sparkle pattern), each of the films to about 218 ℃ for about 50 seconds using a hot press (425 ℉) and about 138 ㎪ (20 psig) was thermally embossed. PVC 필름은 용융되어 엠보싱 표면에 접합되었고, 따라서 휘도에 대해 시험하지 않았다. PVC film is bonded to the embossed surface was melted, and thus was not tested for brightness. 코폴리에스테르 에테르/아크릴레이트 재귀반사성 물품은 상승된 온도에서 엠보싱되었고 도 6에 예시된 바와 같은 휘도 수치(brightness reading)를 가지며, 이는 엠보싱되지 않은 코폴리에스테르 에테르/아크릴레이트 재귀반사성 구조의 도 4의 휘도 수치와 유사하였다. Copolyester ether / acrylate recursive reflective article at the luminance value, such as illustrated in Figure 6 was embossed at an elevated temperature as (brightness reading) to have, which are not embossed copolyester 4 of the ester ether / acrylate recursive reflective structure It was similar to the brightness value. 그러한 재귀반사성 구조의 다른 이점은 안정성을 잃지 않고도 재귀반사성 구조의 가소화된 PVC 버전보다 높은 온도를 견디는 능력을 특징으로 한다. A further advantage of such a recursive reflecting structure is a plasticized high temperature than the PVC version of recursive reflecting structure without losing the stability characterized by the ability to withstand. 도 8은 미소구체형 재귀반사성 구조(830)의 표면에 접합된 코폴리에스테르 에테르 조성물 층(802)을 포함하는 재귀반사성 물품 또는 필름(800)의 일 실시 형태를 예시한다. Figure 8 illustrates an embodiment of a recursive reflective article or film 800 which comprises a copolyester ether composition layer 802 is bonded to the surface of the microspheres body recursive reflective structure 830. 코폴리에스테르 에테르 조성물 층(802)은 이전의 실시 형태에서 전술된 것과 유사하고 임의의 적합한 방식으로 접합되거나 부착될 수 있다. Copolyester ether composition layer 802 may be similar to that described above in the previous embodiment are joined or attached in any suitable manner. 코폴리에스테르 에테르 조성물 층(802)이 도 7과 관련하여 전술된 것과 유사한 공정으로 재귀반사성 구조(830)를 형성한 후에 그 재귀반사성 구조에 추가될 수 있다. Copolyester ether composition layer 802 is also formed after the recursive reflective structure 830 by a procedure similar to that described above in connection with Fig. 7 may be added to the recursive reflecting structure. 사용될 수 있는 미소구체형 재귀반사성 구조(830)의 하나의 전형적인 종류가 미국 특허 제6,677,028호(래쉬(Lasch))에 개시된다. One typical type of microspheres body recursive reflective structure 830 that may be used are disclosed in U.S. Patent No. 6,677,028 (Lash (Lasch)). 특히, 재귀반사성 구조(830)는 뷰잉면(813)을 갖는 적합한 표면 부재(833), 복수의 투명 비드(822) 및 결합제 층(835)에 의해 비드에 대해 상호작용하는 위치에 유지되는 적합한 반사층(824)을 포함한다. Suitable reflective particularly, the recursive reflecting structure 830 is held in position to interact on the bead by a suitable surface member 833, a plurality of transparent beads 822 and a binder layer (835) having a viewing surface 813 It comprises 824. 접착제 층(837)이 반사층(824)에 결합된다. The adhesive layer 837 is bonded to the reflection layer 824. 투명 비드(822)는 표면 부재(833)에 의해 둘러싸인 제1 반구형 부분과, 반사층(824)으로부터 이격된 결합제 층(835) 내의 대향하는 제2 반구형 부분을 갖는다. Transparent bead 822 has an opposite second semi-spherical portions in a binder layer (835) remote from the first semi-spherical portion surrounded by a surface member 833, the reflection layer 824. 대안의 전형적인 미소구체형 구조가 본 발명에 의해 사용되도록 고려된다. The typical microspheres body structure of the alternatives are contemplated for use by this invention. 이들 대안은 미국 특허 제4,025,159호(맥그래스(McGrath)), 제4,983,436호(베일리(Bailey)), 제5,064,272호(베일리), 제5,066,098호(컬트(Kult)), 제5,069,964호(톨리버(Tolliver)), 제5,262,225호(윌슨(Wilson)) 및 제5,812,317호(빌링슬리(Billingsley) 등)에 기술된 것들을 포함하지만 이로 한정되지는 않는다. These alternatives are U.S. Patent No. 4,025,159 No. (McGrath (McGrath)), a 4,983,436 number (Bailey (Bailey)), a 5,064,272 number (Bailey), the 5,066,098 No. (cult (Kult)), a 5,069,964 number (Tuliver (Tolliver )), a No. 5,262,225 (Wilson (Wilson)) and a number 5,812,317 (Billingsley (including those described in Billingsley)), but are not limited to. 도 10은 재귀반사성 물품(1000)의 노출된 렌즈 유형의 다른 실시 형태를 예시한다. Figure 10 illustrates another embodiment of an exposed lens type of recursive reflecting article 1000. 재귀반사성 물품(1000)은 미국 특허 제5,055,347호(베이컨)에 기술된 것과 유사하며, 그 기술 내용은 본 명세서에 포함되고 본 명세서의 일부를 이룬다. Recursive reflecting goods 1000 are similar to those described in U.S. Patent No. 5,055,347 (Bacon), the description forms part of the present specification are incorporated herein by reference. 보다 구체적으로, 재귀반사성 물품(1000)은 미소구체(1016)의 적어도 하나의 층, 경면 반사층(1017), 결합제 층(1018) 및 코폴리에스테르 에테르 조성물 층(1019)을 포함한다. More specifically, the recursive reflecting article 1000 includes at least one layer, specular reflective layer 1017, a binder layer (18) and co-polyester ether composition layer 1019 of the microspheres (1016). 전형적인 미소구체(1016) 및 경면 반사층(1017)은 위에서 기술된다. Typical microspheres 1016, and mirror-reflection layer 1017 are described above. 층(1016, 1017, 1018)의 보다 전형적인 유형은 미국 특허 제5,055,347호에 기술되며, 그 기술 내용은 본 명세서에 포함되고 본 명세서의 일부를 이룬다. Than the typical type of the layer (10 16, 10 17, 10 18) is described in U.S. Patent No. 5,055,347, the description forms part of the present specification are incorporated herein by reference. 이 실시 형태에서, 결합체 층(1018)은 가황성 또는 경화성 탄성중합체를 포함할 수 있고, 이럼으로써 미소구체(1016)의 층은 결합제 층 내에 매립되게 된다. In this embodiment, the combination layer 1018 may comprise a vulcanizable or curable elastomer, a layer of microspheres 1016 by takin is to be embedded in the binder layer. 결합제 층(1018)은 높은 용융 온도(예를 들어, 방화복에 사용되기에 충분히 높음)를 갖는다. The binder layer (18) has a (high enough to be, for example, used in the turnout gear) high melting temperature. 전형적인 일 실시 형태에서 상기의 형성에 이어, 코폴리에스테르 에테르 조성물 층(1019)은 공지된 방식으로 결합제 층(1018)에 공압출된다. In one exemplary embodiment, after the formation of the above, copolyester ether composition layer (1019) is co-extrusion the binder layer (18) in a known manner. 다른 코팅 공정이 또한 다층 구성을 제조하는 데 사용되도록 고려된다. Other coating processes are also considered to be used for producing a multilayer structure. 그러한 것으로서, 재귀반사성 물품(1000)은 재봉(sewing)에 의해서와 같이 방화복에 부착될 수 있다. As such, the recursive reflecting article 1000 may be attached to the turnout gear, such as by sewing (sewing). 대안적으로, 이 실시 형태의 재귀반사성 물품(1000)은 또한 코폴리에스테르 에테르 조성물 층(1019)의 외향면에 접합된 접착제 층(1020)을 포함하는 것을 계획한다. Alternatively, the recursive reflecting article 1000 of the present embodiment is also plan to include a copolyester ether with an adhesive layer (1020) joined to the outwardly facing surface of the composition layer (1019). 접착제 층(1020)은 재귀반사성 물품(1000)을 기재에 부착하기 위해 가열되어 적합한 기재(도시되지 않음)에 도포되고자 하는 임의의 적합한 고온-용융 접착제를 포함할 수 있다. Adhesive layer 1020 is heated to attach the recursive reflective article (1000) to a substrate suitable substrate of any suitable high temperature to become applied to the (not shown) may include a hot-melt adhesive. 고온-용융 접착제의 연화 온도가 미소구체(1016)의 층이 코폴리에스테르 에테르 조성물 층(1018) 내로 가라앉게 하지 않도록 고온-용융 접착제가 선택되어야 하는 것을 유의하여야 한다. Temperature - it should be noted that the hot-melt adhesive should be selected - the softening temperature of the hot-melt adhesive a layer of microspheres 1016 copolyether high temperature so as not to sink into the polyether ester composition layer (1018). 여러 가지의 층의 두께는 그 층들이 재귀반사성 물품(1000)의 원하는 특성을 제공하는 한 변할 수 있다. The thickness of the various layers may be varied to that a layer to provide the desired characteristics of the recursive reflecting goods 1000. 본 명세서에 인용된 특허를 비롯한 모든 참고 문헌은 명확히 전체적으로 본 명세서에 참고로 포함된다. All references including patents cited herein are explicitly included entirely herein by reference. 본 발명의 예시적인 실시 형태가 논의되어 있으며, 본 발명의 범주 이내의 가능한 변경이 참조되었다. And an exemplary embodiment of the present invention is discussed, by reference the possible changes within the scope of the invention. 본 발명의 이들 및 다른 변형 및 변경이 본 발명의 범주를 벗어나지 않고도 당업자에게 명백해질 것이고, 본 발명은 본 명세서에 기술된 예시적인 실시 형태로 한정되지 않는다는 것을 이해하여야 한다. These and other modifications and variations of the present invention will become apparent to those skilled in the art without departing from the scope of the invention, it is to be understood that the invention is not limited to the exemplary embodiments described herein. 따라서, 본 발명은 이하에 제공되는 단지 청구의 범위에 의해서만 한정되는 것은 아니다. Accordingly, the invention is not intended to be limited only by the scope of the claims provided hereinafter. 재귀반사성 물품. Recursive reflective items. 를 포함하는 재귀반사성 물품 형성 방법. Recursive method for forming a reflective article comprising a. 제1항에 있어서, 제1 층이 400℉를 초과하는 연화 온도를 갖는 것인, 재귀반사성 물품. According to claim 1, wherein the first layer having a softening temperature in excess of 400 ℉, recursive reflective article. 제1항 또는 제4항에 있어서, 제1 층이 -100℉ 내지 400℉의 온도 범위에서 온도 안정성을 갖는 것인, 재귀반사성 물품. According to claim 1 or 4, wherein the recursive reflective article of the first layer has a temperature stability in the temperature range of -100 to 400 ℉ ℉.